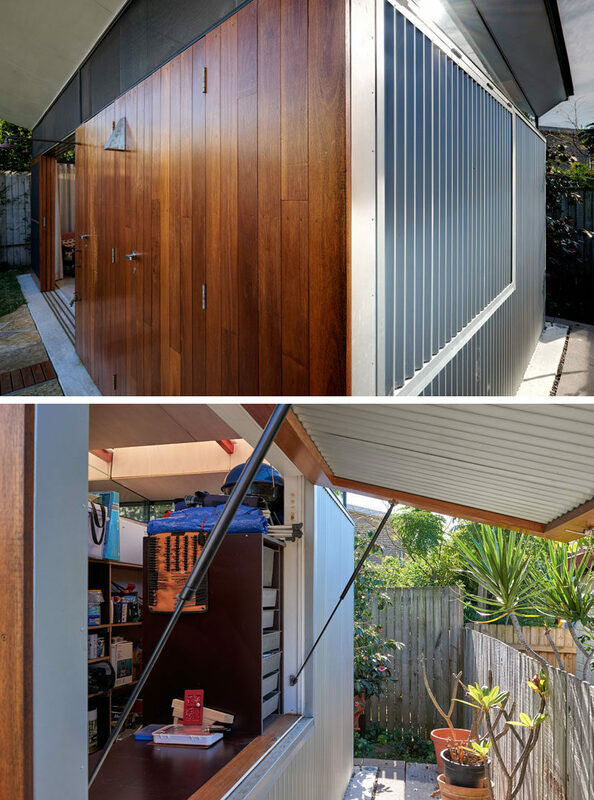 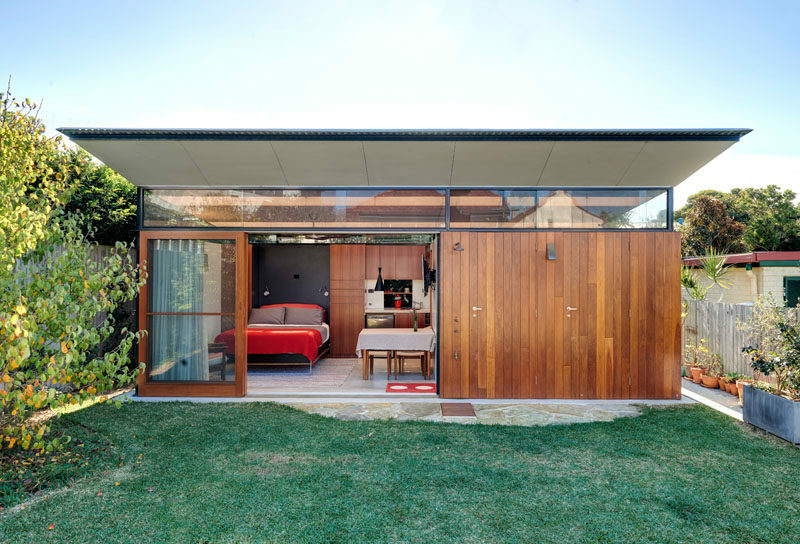 Architect Ulrika Saar together with builder Russ Davis from Avalon Constructions, have completed a small 312 square foot (29 sqm) studio / granny flat in Sydney, Australia, that has multiple uses. 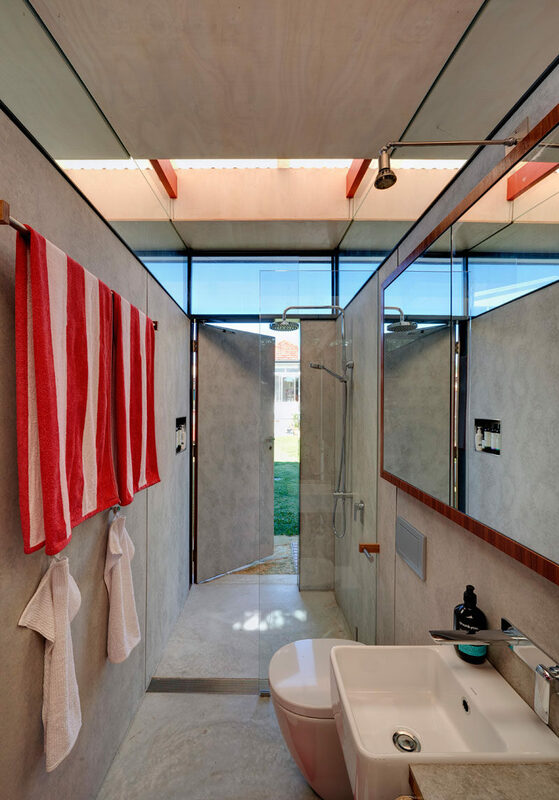 The versatile space accommodates a home office, kitchenette, living quarters, bathroom with laundry, shed with indoor/outdoor workspace, storage, garden entertainment area, and outdoor beach shower. 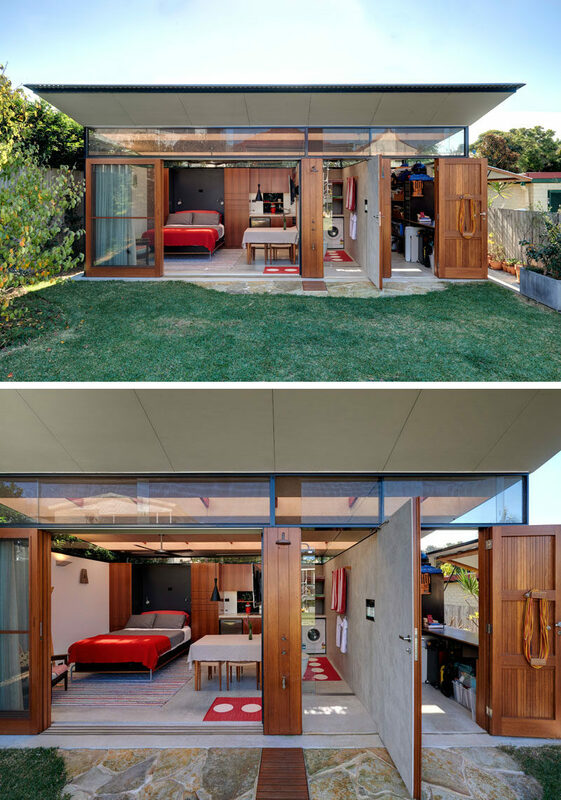 Sliding glass doors with wood frames open to reveal the living quarters. 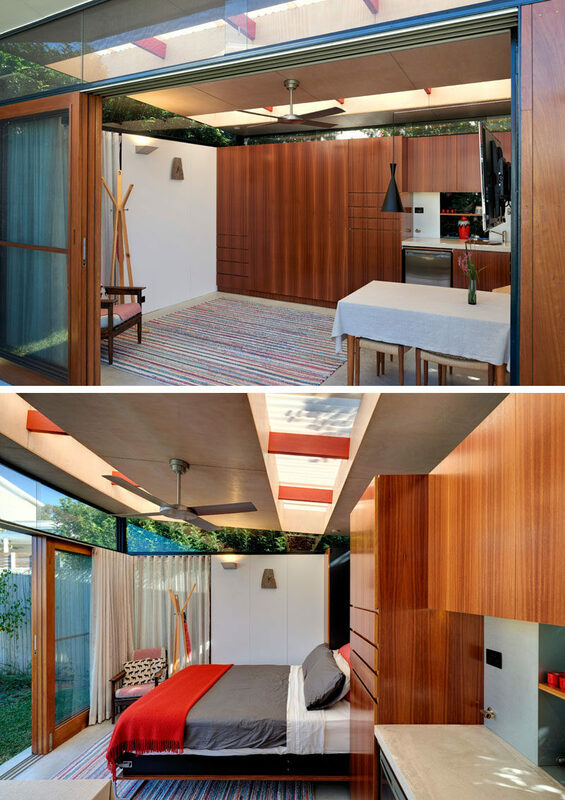 Inside there’s a fold-down bed that blends into the wood wall, a small kitchenette and a dining space. 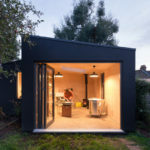 At the rear of the building, there’s a 4000-litre rainwater tank that collects water for the studio’s toilet, washing machine and garden irrigation. 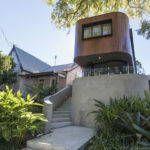 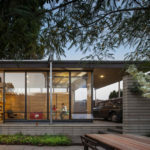 The exterior of the studio that faces the garden is clad in a warm hardwood timber (blackbutt ) panelling, while Zincalume corrugated iron wraps around the remaining three sides of the structure, protecting it from the elements.